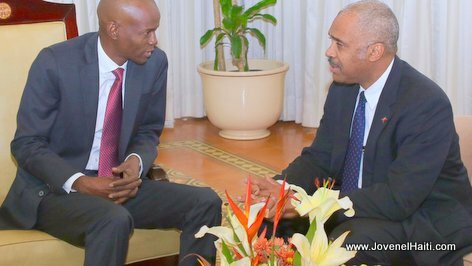 Did president Jovenel Moise ask PM Jack Guy Lafontant to resign or not? With Prime Minister Jack Guy Lafontant being asked by every sector to resign his post, some people want to know: Did president Jovenel Moise himself ask PM Lafontant for his resignation? Haitian newspaper Le Nouvelliste asked Guichard Doré, special adviser to the president Jovenel that same question. Doré replied in these words: "I do not have this information." According to the Haitian newspaper, other advisers to the president preferred not to answer the question. Do you think President Jovenel want Jack Guy Lafontant to resign as Prime Minister of Haiti?